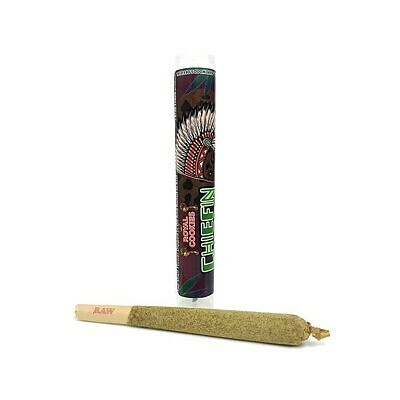 Chiefin Kief Cones - By Bare Farms Bare Farms' Chiefin Kief cones contain 1 gram of top-shelf Monster Cookies dipped in oil and rolled in kief. Bare Farms Montser Cookies is a high quality Hybrid strain is well-known by its punget aroma and mild mint taste present in each hit. Flower enthusiasts enjoy this strain for its fast-acting cerebral and body high that leaves users feeling uplifted and euphoric. Great for those experiencing stress and anxiety.